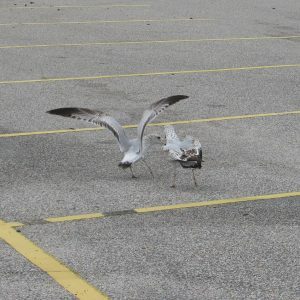 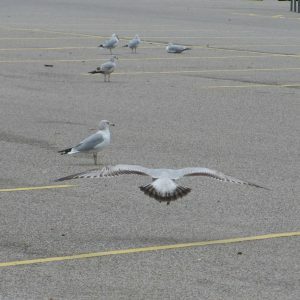 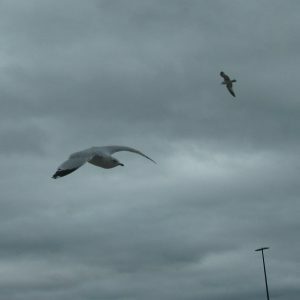 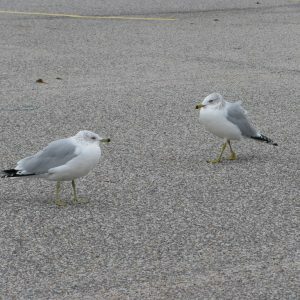 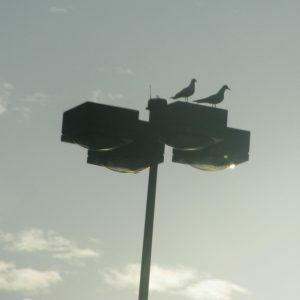 We had a recent patch of cooler, mistier weather…which meant it was the perfect time to visit the parking lot seagulls! 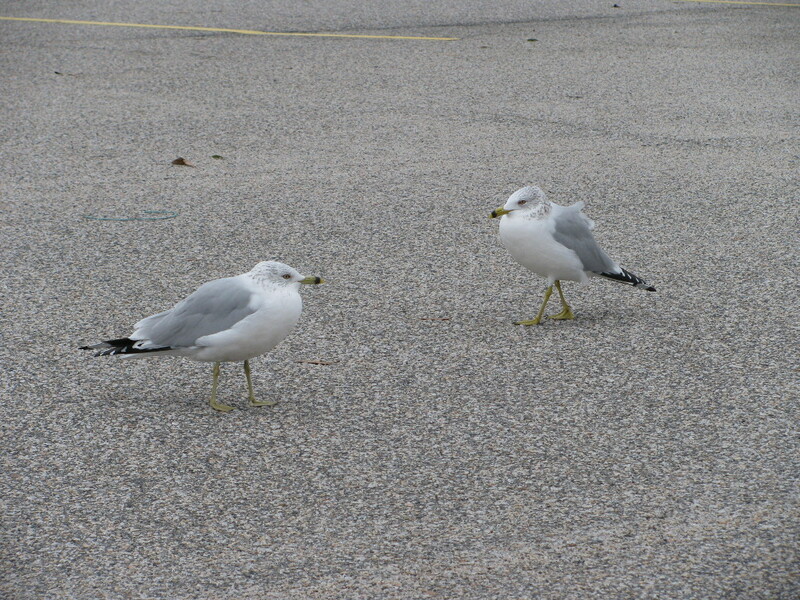 On a dreary day, the seagulls hunker down on the pavement, and their necks all but disappear as they try to shield themselves from the wind. 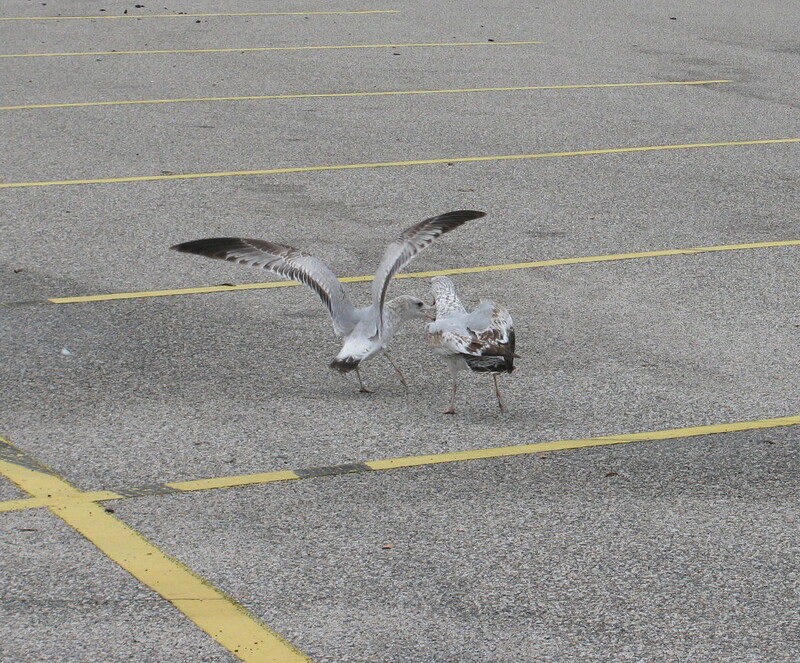 There’s always a ruffian who wants to start something, squawking and arguing with the others. 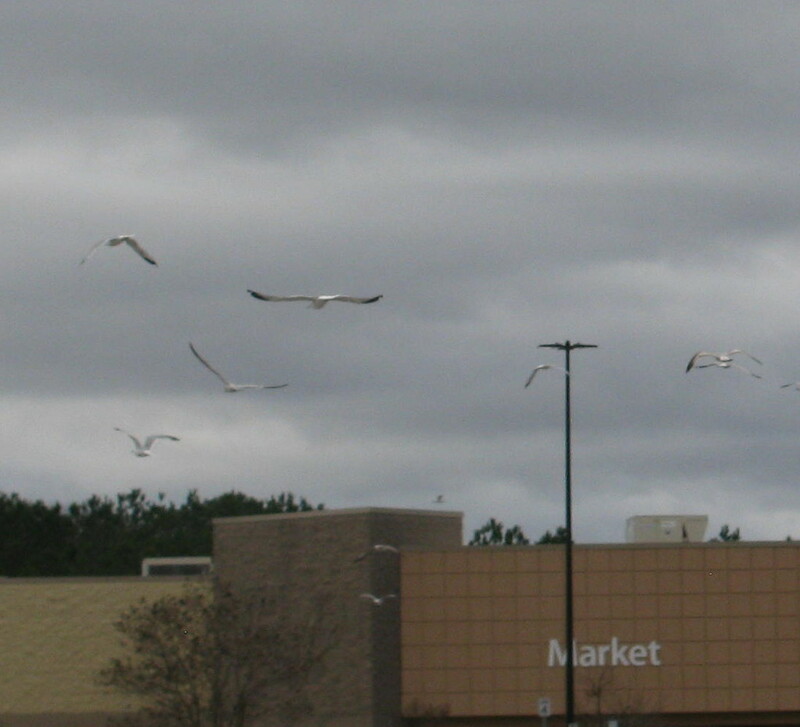 Then a group of seagulls suddenly takes flight, wheeling through the sky before coming back to rest in the same parking space they just left. 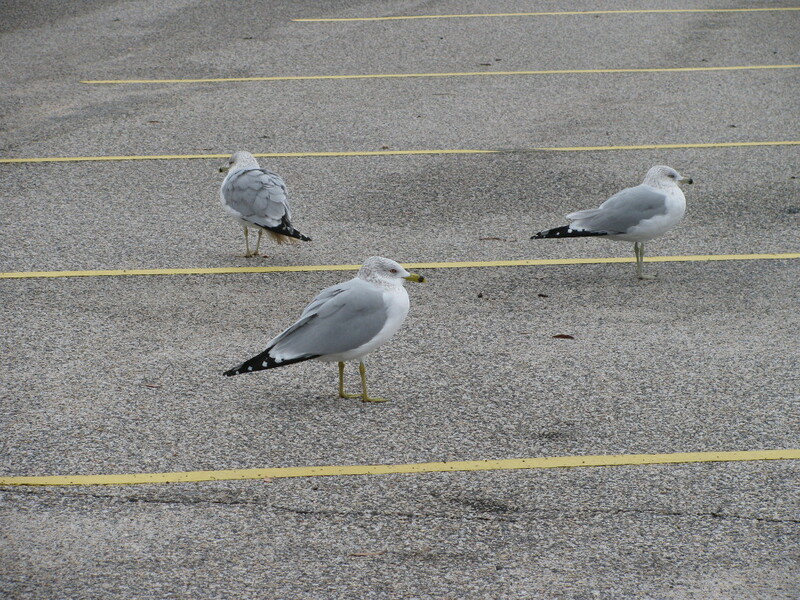 They’re a mischievous lot, those seagulls, but they still always manage to park within the lines. 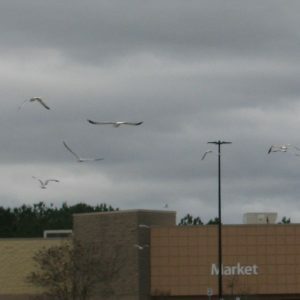 My neighborhood is 100 miles from the coast. 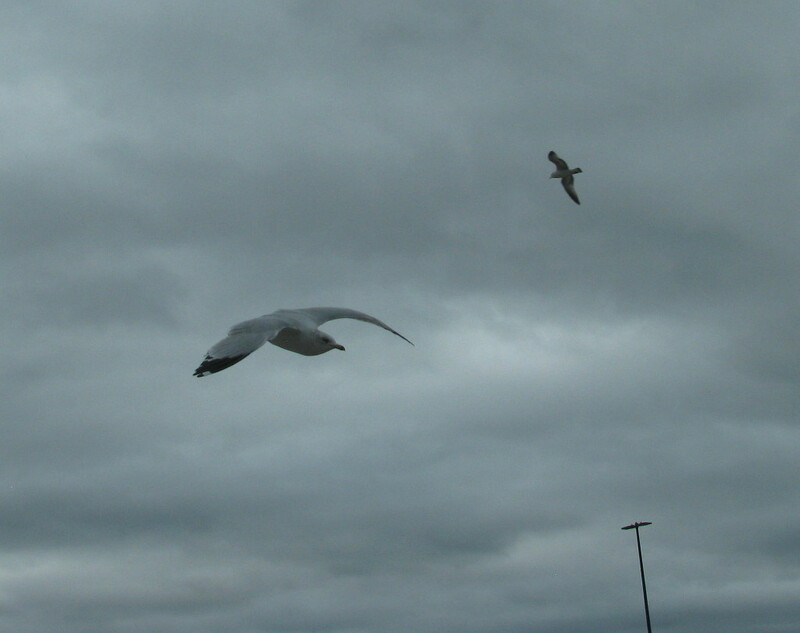 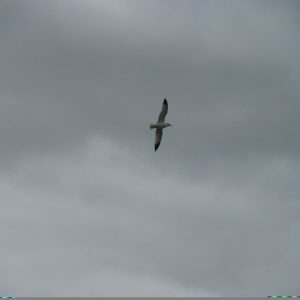 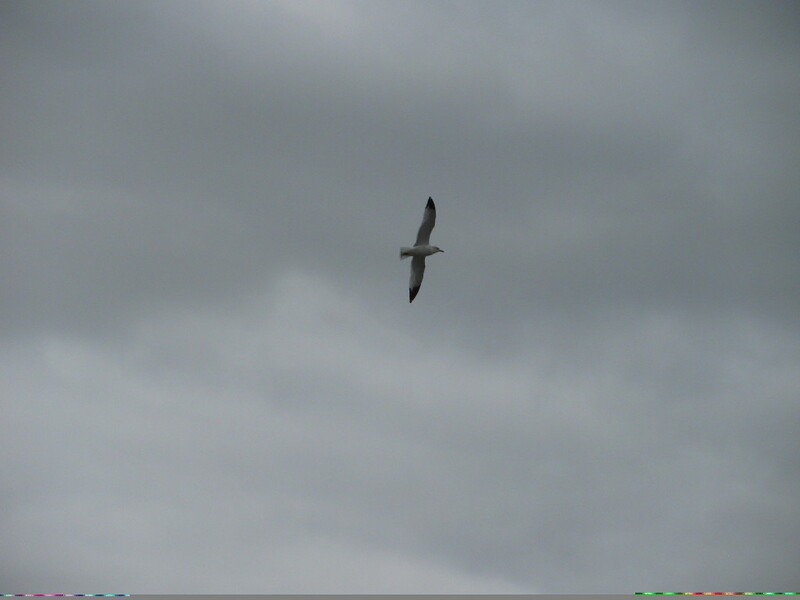 But watching those seagulls screech and soar through the air is like spending an overcast day at the beach. 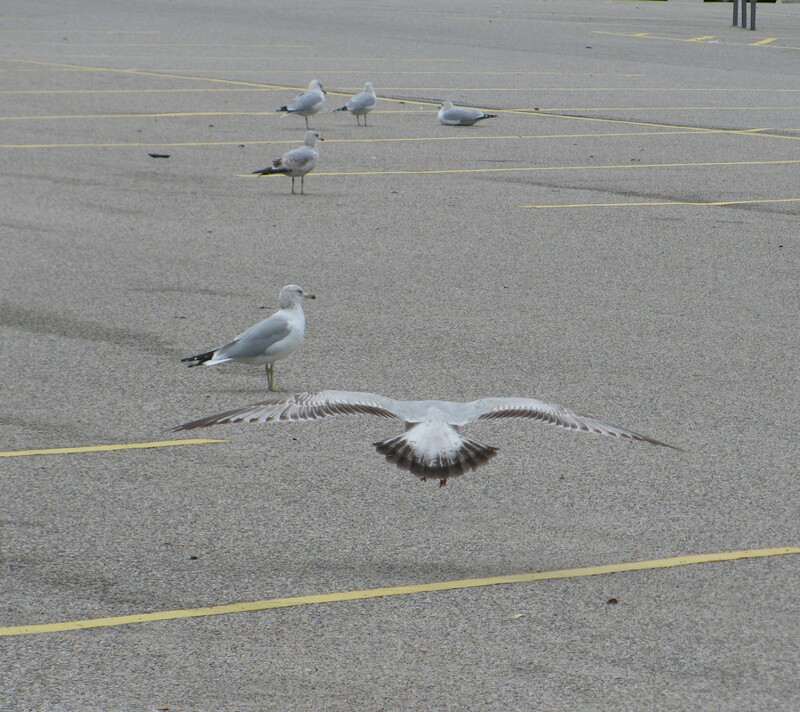 (Which is much better than spending an overcast day in a shopping center parking lot). 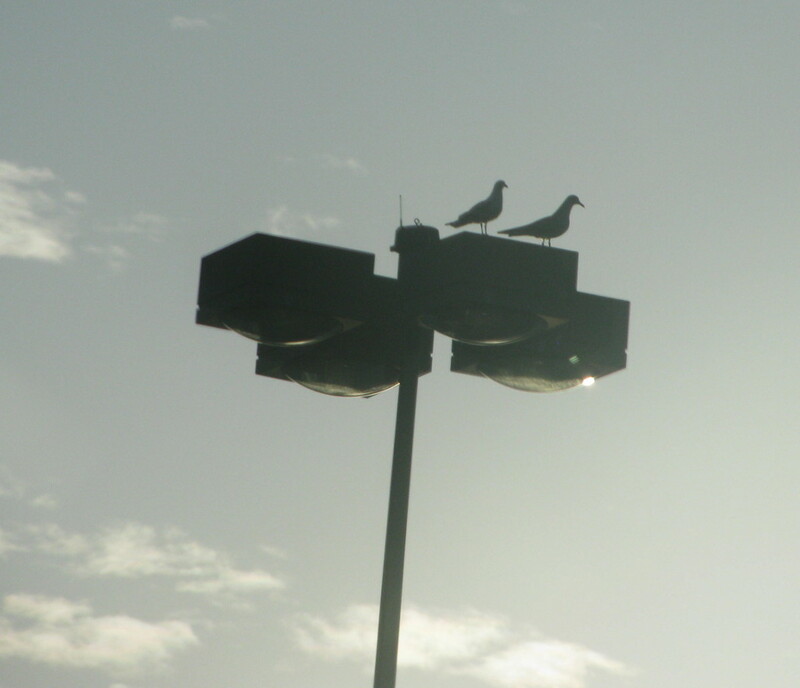 And sometimes…sometimes you’ll spy them perched high atop the light fixtures. 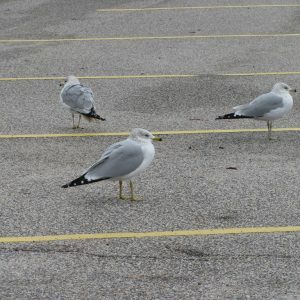 Perhaps they’re thinking it’s a fine day to watch you, too.